This book shows the rise and morphology of a self-identified `illiberal democracy’, the first 21st century illiberal political regime arising in the European Union. Since 2010, Viktor Orbán’s governments in Hungary have convincingly offered an anti-modernist and anti-cosmopolitan/anti-European Unionist rhetoric, discourse and constitutional identity to challenge neo-liberal democracy. The Hungarian case provides unique observation points for students of transitology, especially those who are interested in states which are to abandon pathways of liberal democracy. The author demonstrates how illiberalism is present both in `how’ and `what’ is being done: the style, format and procedure of legislation; as well as the substance: the dismantling of institutional rule of law guarantees and the weakening of checks and balances. 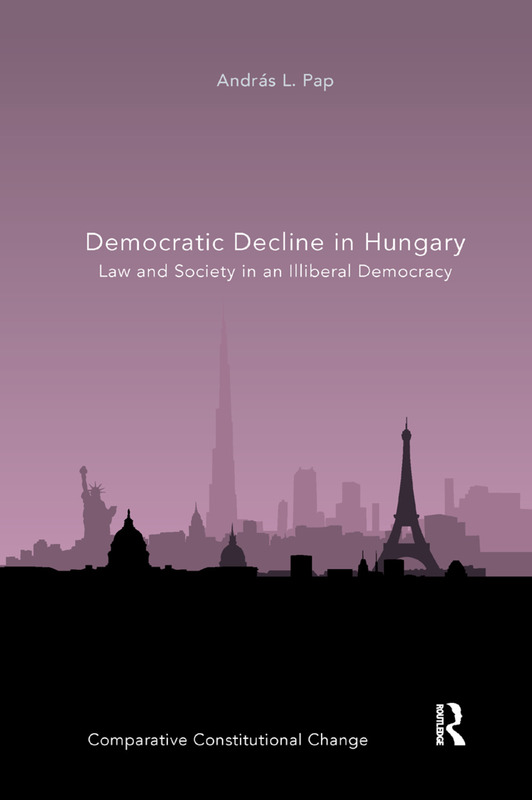 The book also discusses the ideological commitments and constitutionally framed and cemented value preferences, and a reconstituted and re-conceptualized relationship between the state and its citizens, which is not evidently supported by Hungarians’ value system and life-style choices.